All tax preparers at Ada Tax Professionals have earned their Enrolled Agent credentials from the IRS which further emphasizes their commitment to the profession. Maintaining this credential requires many hours of continuing education each year. Enrolled agents, like attorneys and certified public accountants (CPAs), have unlimited practice rights. This means they are unrestricted as to which taxpayers they can represent, what types of tax matters they can handle, and which IRS offices they can represent clients before. Our clients come from all throughout Ada County, as well as other neighboring counties such as Canyon, Gem, and Elmore. Many former Idaho residents now mail or email their information from other states including Oregon, Washington, California and other countries as well. The staff at Ada Tax Professionals work with clients to prepare accurate and complete returns with all possible deductions and credits considered. When choosing among alternative tax treatment possibilities, the client’s goals and situations are carefully considered. Miri is celebrating 20 years here at Ada Tax Professionals. She is highly motivated with a quick and inquiring mind. Miri is very knowledgeable in a number of things from bookkeeping, payroll services, computer problems, and of course tax preparation. As the office manager she’s currently helping Elke phase into retirement mode, which makes her the “go to” expert for everything that happens here at ATP. When not at work, she spends every possible moment with her family at their cabin in the woods. 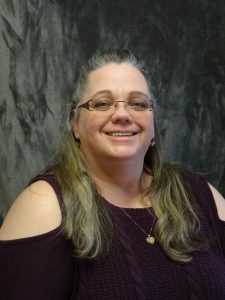 Darci has over 12 years of tax preparation experience. She has obtained her Enrolled Agent credentials an believe in keeping abreast of current tax law. She also enjoys detailed work and strives to make sure that every return is accurate and that tax saving strategies are maximized. Darci moved here from Washington state in 2015 with her husband. She enjoys gardening, traveling and bicycling. Jim Henderson, MBA, EA recently joined ATP out of retirement. Jim began by assisting fellow soldiers with their taxes in the 1970’s. He did tax preparation part time for a few years before opening a private practice. We’re happy that he has now joined our team here at Ada Tax. Altogether Jim has been assisting taxpayers for than 30 years. He and his wife Anne, who are both lifelong Idahoans, live in Meridian. Jim has a wide range of hobbies including quilting and machine embroidery, developing websites, and shooting his pistol at the gun range. 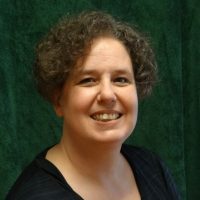 Elke is the owner of Ada Tax Professionals,with over 35 years of tax experience and an accounting degree from the University of Oregon. She places a high value on keeping up-to-date with tax law and practice and is excited to help our clients adapt to the major new tax laws. Her clients are very important to her and she will go above and beyond to help them. Elke is enjoying spending more time these days with family and friends. She also helps husband, David, in his business Circular Creations. You can see his work at Art Zone 208, R Grey Gallery, weekend art festivals, on Facebook, and in Elke’s office of course. Jody is our full-time receptionist and bookkeeper. She was born and raised in Utah and moved to Boise in 2014 with her husband. She graduated in 2016 with an Associates in Business Management. She loves baking, quilting, fishing, and spending time with her family. Jody is upbeat and always strives to exceed. Her smile and caring personality will make your visits to Ada Tax Professionals welcoming and enjoyable. Jenny is our tax season receptionist. She moved to Idaho as a small child. She has a degree in Accounting Technology from BSU. She likes working with numbers and computers, but she loves a challange. Jenny has been fortunate to spend much of her time with family and considers her 5 smart and happy children her greatest accomplishment. She enjoys being a grandma to 3 little ones. Her other favorite activities are swimming and riding her Harley.